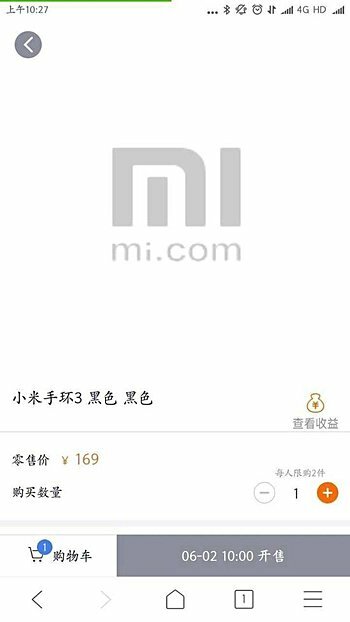 Xiaomi recently confirmed May 31 unveiling for its Mi Band 3 smart wearable device. And now, just a couple of days before the event, the pricing information for the device has also leaked. Thanks to an official listing that slipped through the cracks, a CNY 169 ($26) price tag has been revealed. For comparison, the Mi Band 2 costed CNY 149. Xiaomi CEO recently said he has been testing the Band 3 for two-three months, and found it to be far better than the company's previous two Mi Bands. The Band 3 is expected to feature a display similar to its predecessor, but with a 2.5D curved glass covering. Other rumored changes include no physical button, support for Bluetooth 4.2 and NFC, as well as IP67 compliance for dust and water resistance. Recent rumors also suggest gesture support - swipe up/down to switch functions, and left/right to access different items. And how much does the Samsung one cost? no touch screen no color cheap , no brand , no prestige.... mi band 3 not upgrade at all from mi band 2. better buy Samsung one.